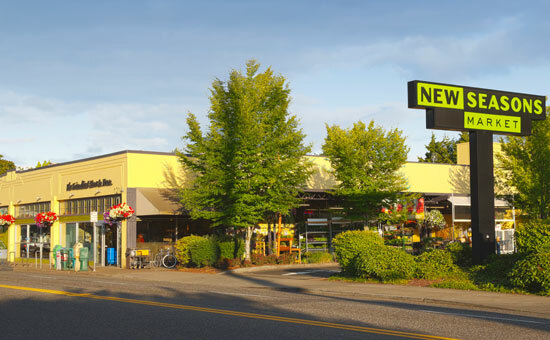 Today I want to pay tribute to my favorite place to grocery shop in Portland. Though there are a myriad of food stores to choose from including the mom and pop ethnic stores, I still have just one store that I believe is absolutely stellar in what they bring to the consumer. My number one choice is New Season’s grocery store, founded in 1999 this company has grown from one store to it’s current number of eleven. This company is all about local, sustainable and organic, supporting many northwest farmers and companies. As a shopper, I am beyond thrilled to find that more than 90% of the produce is organic, something that is very important to me. Another thing that makes them awesome is the fact that they have meat and poultry that is grass fed, as well as antibiotic and hormone free to choose from, got to love that! A few other points worth mentioning are their fabulous deli, bakery and nutrition depts, oh and did I mention that they contribute, after taxes, 10% of profits to a variety of local organizations, through grants and donation – good stuff! I will just close in saying that this store totally rocks in all areas and they just happen to also be the most friendly store in Portland!